­­­Welcome to the Freedom Boat Club of Lake Erie – Rocky River, Ohio! Freedom Boat Club of Lake Erie (FBCLE) was founded in 2009 by Beckett and Jim Spreng. Currently, Freedom Boat Club of Lake Erie has three locations – Catawba, Rocky River and Huron along the shorelines of Lake Erie. As a Rocky River member of Freedom Boat Club of Lake Erie you get unlimited access to both Catawba South Marina and Huron Lagoons Marina. Here is how this new alternative without all the hassles that come with owning a boat works: With a membership to our exclusive International boat club you don't have to worry about boat maintenance, dock fees, insurance, depreciation, trailers or even clean up. You get access to not just one boat but our entire fleet (currently 17 boats and additional boats added as our membership grows) at our 3 locations. The fleet offers a variety of boats that are equipped with on board GPS/Radios and Fish Finders (on the fishing boats). You will feel confident and safe heading out to your favorite fishing spot or destination on our deep bowed boats. Our membership is just a one-time membership fee and monthly dues that cost you less than storing your boat for a season. Emerald Necklace Marina: Freedom Boat Club of Lake Erie – Rocky River is located at Emerald Necklace Marina, which is the perfect location for fishermen, boaters, families and simply anyone interested in enjoying the Lake Erie waters on the Central Basin. Situated in the beautiful Cleveland Metroparks, the marina is surrounded by over 21, 000 acres of parks, trails, picnic areas, golf courses and more. The marina provides amenities such as a fuel dock, a restaurant with beautiful multi-patio settings, as well as air-conditioned, inside seating/party room, a gift shop, live bait, ice, restroom/showers facilities and kayaking/paddle boarding. Being just 15 minutes west from downtown Cleveland, Rocky River has access to all of the treasures of the city, including the Rock and Roll Hall of Fame, award winning restaurants and big-name concerts – there's certainly something for everyone! Whether you're looking to spend a fun day on Lake Erie with your family, or trying to reel in a big catch or just wanting to watch the sunset over the beautiful Cleveland skyline, Rocky River is the perfect place for you! What a Member of Freedom Boat Club of Lake Erie will enjoy: Out on the water boating activities: water sports (waterskiing, wakeboarding, tubing), boat cruising (try our famous “River Runs”), fishing, visiting the Lake Erie islands, dining by boat at various locations and creating memories that will last a life-time. 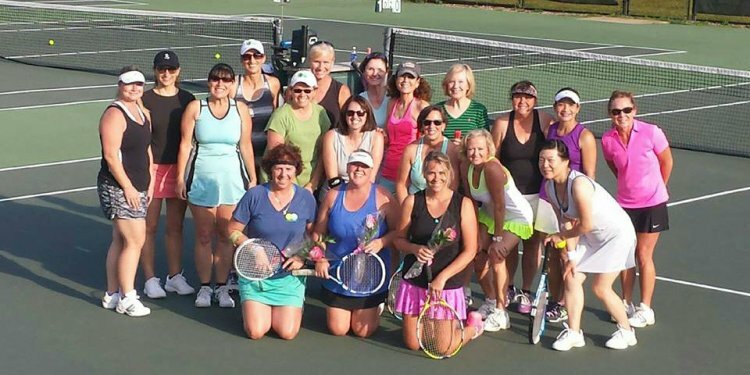 Some of the other membership extras off the water are enjoying a full social calendar of events, such as Open Houses, fishing clubs and NEW this year will be FBCLE’s “Ladies Club”. All of these activities allow you to enjoy and familiarize yourself with the surrounding marina and to get to know other FBCLE members. You may receive discounts (on food, fuel, etc.) with certain FBCLE Partners. And let’s not forget our Dockhands that provide a unique concierge service to our members at all times, providing assistance with your personal belongings to and from the car/boat to name a few. FBCLE certifies every new member by providing a FREE mix of both on-water and classroom boat training. The Captains/instructors know the local waterways and are well trained to assist newcomers to boating as well as seasoned skippers alike. Additional and continuing safety information and training seminars will be available and running all season long. A Member of FBCLE must be 21 years of age, boaters born on or after January 1, 1982, must have a valid Ohio Safe Boating Card. We are happy to announce a new partnership with Catawba Island Club (CIC). Our members have the opportunity to join the CIC at a discounted rate of the initiation fee, based upon their level of membership. Catawba Island Club is a prestigious private club located on Lake Erie's Ohio Shore and located within the Catawba island Township. The primary part of The Club occupies approximately one thousand two hundred linear feet of direct Lake Erie shoreline. The club provides many recreational offerings including an Arthur Hills Golf course, three outdoor pools, lodging, a full-service fitness center, casual and formal dining and bar options both indoor and on the lakefront. The facility was purchased in the fall of 1967 by James Stouffer Sr. The Stouffer family has kept true to the original mission ...”Uniting the whole family instead of separating the family as a unit”. Catawba Island Club offers something for everyone.